the weather had turned cold suddenly, with the point-blank ferocity of winter howling its triumph over warmth. the temperature was falling steadily outside; weathermen with excited eyes predicted the season’s first snowfall. it got dark earlier now, but he didn’t mind. he liked the darkness, in some ways — the darkness out of doors made it easier to release the torrent of furies in his darkening mind. sleep had never come easily to him, and often had proved impossible to attain … without a little help. and that help, he knew, was like walking on the edge of a knife. it could keep him above the rim of collapse — or it could turn fickle, fuel that collapse, cut and kill. once he would’ve hanged the consequences and poured the whiskey down his throat, but now he wasn’t sure. was life merely an accident meant to be survived as long as possible? was it a curse in which death’s consummation was the only consolation? instead of answering, he’d always ignored that such questions existed. now he realized some things were beyond his power to obliterate, and his disbelief did not alter their reality. it was her fault, with those wide eyes full of questions and stars. she’d tricked him into thinking again, though he hadn’t known it ’til she was gone. but now she was … and she’d left him alone with his mind. he was forced to think. and if he thought too long, he might remember. her, and before her, before any of this darkness, when there was someone else full of light and laughter. when he was young and life was an adventure. now he was old, in mind, if not in body. yet that too was aging. the face in the mirror bore creases that no longer left when he’d ceased scowling. here and there a silvered hair flickered among the dark. time had marched on while he was asleep in bitter whiskey dreams. he was thinking too much. frustrated, he thrust himself out of the easy chair and walked to the window. 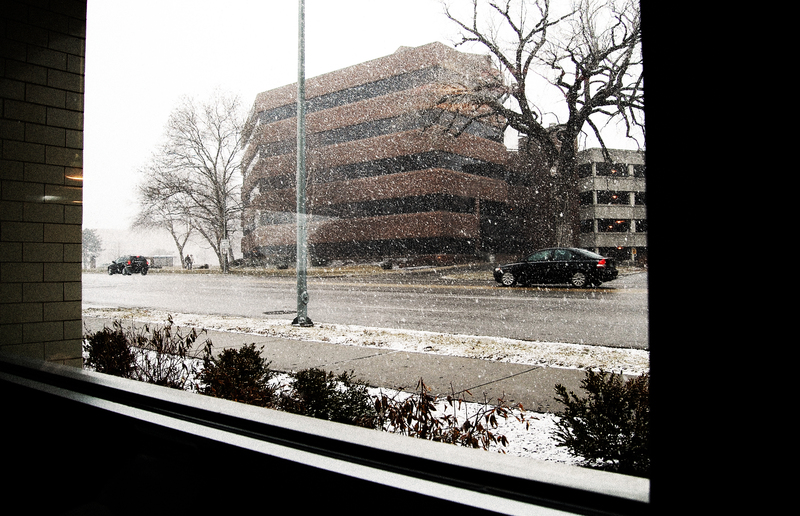 outside, the first large flakes of snow were falling, softening the city’s blackness.